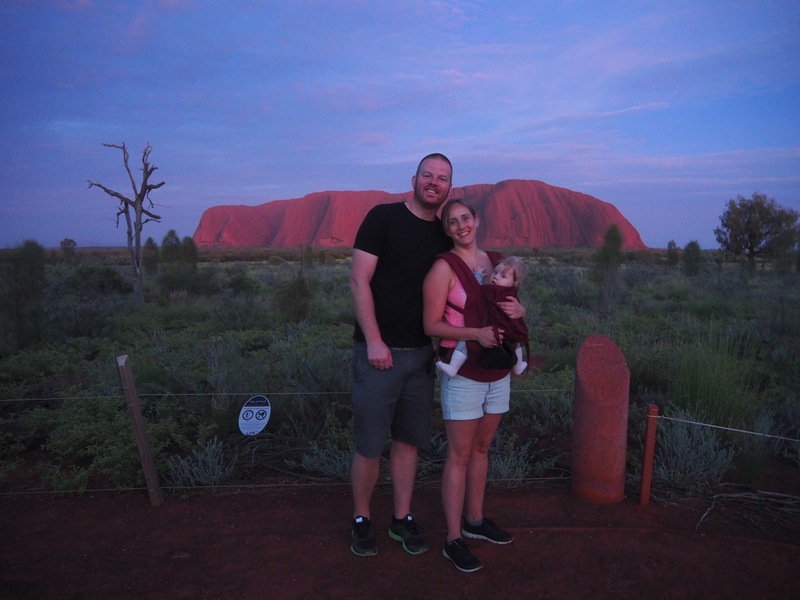 Seeing Ayers Rock is a must when visiting Australia if you ask me. 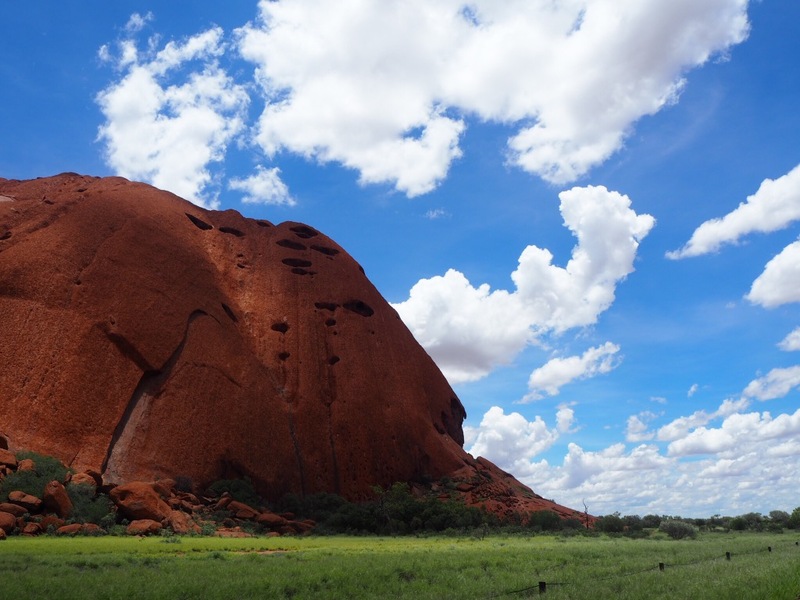 It is a lot more than just “a big rock”, the whole area, that is a national park, is such a different experience than the rest of the top sights in Australia and its quite impressive to vitness the massive rock formations shooting out of the ground in the middle of the dessert where there’s 300 km between stop signs and only one paved road running through the country. We spent three nights there, staying at the resort area that is around a 15 min drive to the park entrance. 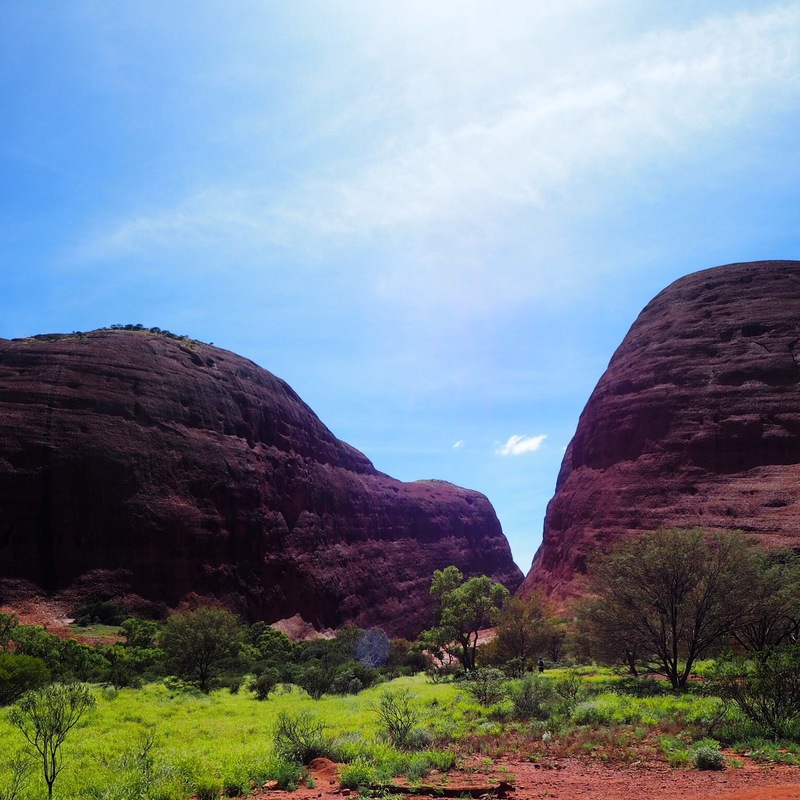 We rented a car and drove around the national park on the first day, starting with Kata Tjuta known as The Olgas. It was a very hot day though, and we settled for viewing from the various viewing spots and skipped the treks. From what I’ve read and heard, you get the best sights and experience from walking some of the paths that goes into the canyon, but 36+ degrees and a burning sun does not go well with a baby and definitely not walking several hours with her in the ergobaby. The views from afar was stunning still and well worth the trip. 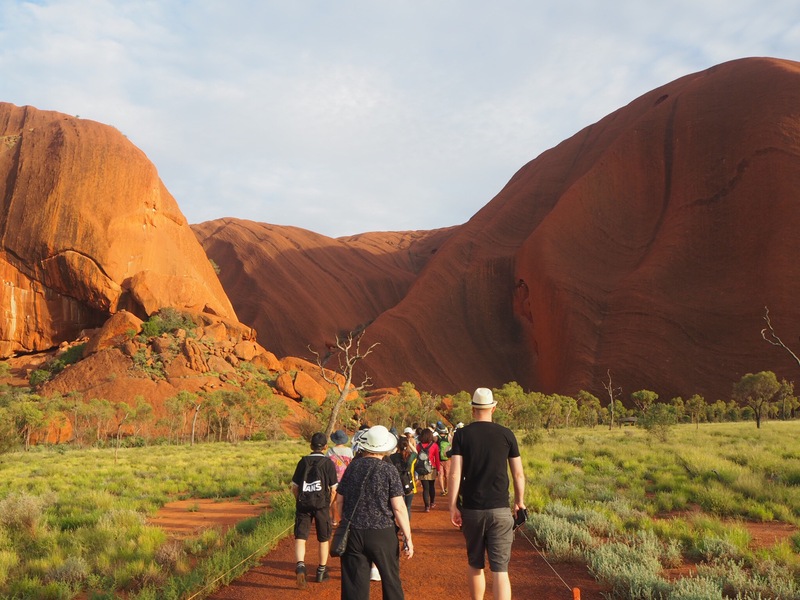 When the headed to Uluru also known as Ayers Rock. Again we skipped the trekking but were able to drive very close and all the way around it for some amazing views. 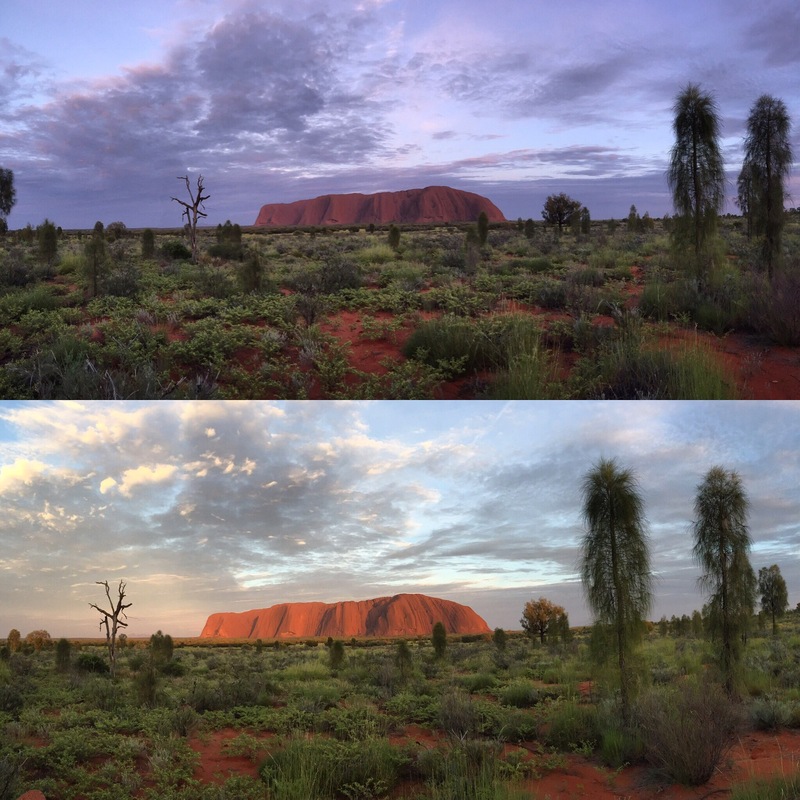 The day after we got up really early (4.15) and drove back into the national park, to watch the sun rise over Ayers Rock. It was a beautiful sight to see how the rock appeared in various colors. 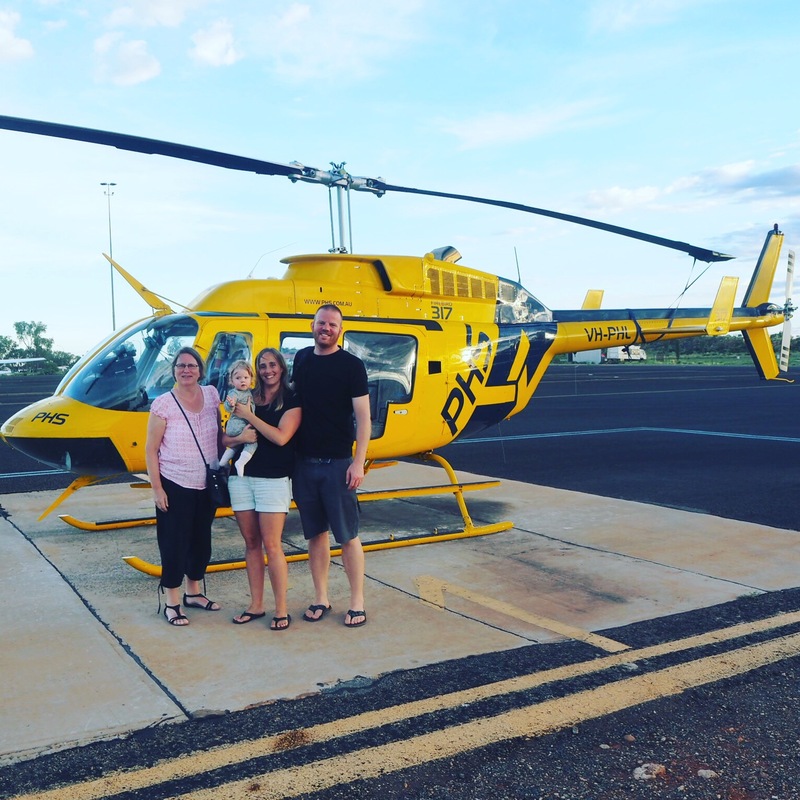 We spent the day relaxing and playing at the resort, and in the evening we got to experience the area from above – on a helipcopter tour during sunset. 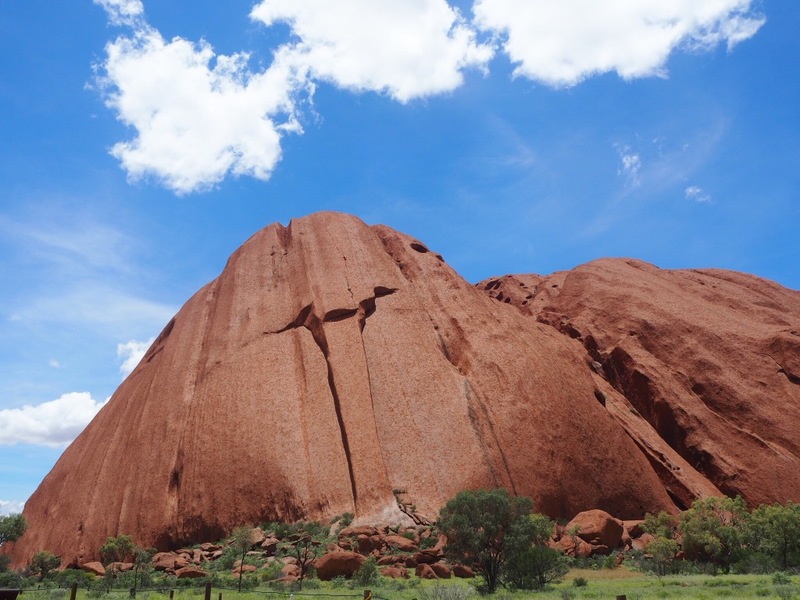 It was absolutely stunning and especially the Kata Tjuta really stood out because we got to view it from different angles.